The story of Kanyakubja sweeps across mythology and history and has a heritage worth its weight in gold and one to be proud of. We find the origins of the city described in mythological texts and its history is well recorded in different Sanskrit classics of the later Vedic period, various royal parchments and also in the accounts of foreign travellers who have visited the ancient city from time to time and have marvelled at its imperial glory. Jamboodweep (Asia), Bharat Khand (India), Aryavarta desh (The land of the Aryans, mainly denoting the northern part of India), Vindhyachaley uttorey (to the north of the Vindhyachal mountains). The Valmiki Ramayan, Bal-khand, Sargas 2 and 31 to 33, gives us a brief history of Kanyakubja and how the city came to get its name as such, and also validates the existence of Kanyakubja in the pre-Ramayana mythical era. One of Lord Brahma’s descendants was a King named Kusha from the Chandravanshi (Lunar dynasty) line through Amavasu. Kusha had four sons of whom, Kushanabha, is credited with building a grand city named Mahodayapura, in the Indo-Gangetic plains. King Kushanabha’s glorious kingdom was called Madhyadesh (the central land), chiefly because it occupied the central portion of the Aryavarta of the ancient times, with the Vindhyachal mountain range setting its barrier to the south, beyond which the Aryans had not ventured till that time. Legend has it that King Kushanabha had hundred daughters by his wife Ghritachi, and all of them were divinely beautiful. Vayu the wind god was infatuated by them but was rudely rejected by the princesses. In his anger and humiliation Vayu cursed the hundred daughters of King Kushanabha for their haughtiness, as a result of which the daughters developed hunches on their backs, thus deforming their ever-praised physical beauty. Vayu told the King that the curse could only be lifted and the divine beauty of his daughters restored, if a Brahmin of upright character married them. The news of the curse and the fate of the hundred princesses spread like wildfire in the city and across the kingdom. The city Mahodayapura soon became to be called “the city of the hunchback maidens” or ‘Kanyakubja’! (In Sanskrit, Kanya meant daughter and kubja meant hunchback). Thus was acquired the name which stayed on as long as the city stood in its glory across the centuries. After great efforts of frantic search, the King met Brahmadutt, the son of sage Chooli who had set up his abode in the forests nearby and was meditating there. The King explained his predicament and proposed the marriage of his hundred daughters to Brahmadutt. Soon was the marriage was conducted and the moment Brahmadutt touched his hunch-backed wives one by one, their hunches and physical deformity disappeared and their divine beauty was restored, thus ending the curse of Vayu. However, the name Kanyakubja stuck on and the city was thereafter always referred to by this name. The great Rishi Vishwamitra was the grandson of King Kushanabha but had abdicated the throne of Kanyakubja to his brother Astaka, as he wished to pursue his spiritual cause and pursuit of divine knowledge. The last reference in the mythological texts about Kanyakubja is the mention of King Lauhi, Astaka’s son who ruled after his father in King Kushanabha’s line. A very popular clan of Brahmins, belonging to the Pancha Gauda group of Brahmins of Aryavarta, are the Kanyakubja Brahmins. They trace their ancestry to Rishi Brahmadutt from his marriages to the hundred daughters (princesses) of King Kushanabha of Kanyakubja. The Kanyakubja Brahmins were famous for upholding the traditional Brahminical Hinduism and the Vedic ways of life and propagated Hinduism and the Vedic religious and cultural scriptures and texts, for generations one after another. Sanskrit was their main language and medium of oral and written communication, preaching and authoring texts. They were held in very high esteem and reverence by the Kings of Kanyakubja and were given positions of power in the court and administration, both in the earlier and the later Vedic periods. The lineage of the Kanyakubja Brahmins are still found in India today though they have scattered across North India, Bihar and Bengal over time. We shall also trace the history of the Kanyakubja Brahmins alongside our main story of Kanyakubja in this article. There are no direct references to Kanyakubja in the Mahabharata era, but it is often identified with or to be located very near to King Drupad’s capital Kampilya in the Dakshin Panchala Pradesh (South Panchal kingdom). Panchala kingdom was built on the mythical Madhyadesh of the dynasty of King Kushanabha and it is also known that the great sage Kapil had his ashram about 30 kms away from the capital Kanyakubja. Kampilya, the most important city in Panchala was also its capital and the venue for the famous ‘swayamvara’ ceremony of Draupadi, where Arjun won her hand in marriage. In the earlier Vedic period, which followed approximately 1000 years after the Mahabharata war, much of the political action was happening in the Indo-Gangetic plains with the Magadha kingdom assuming all the importance and limelight. Panchal Pradesh in the early Vedic period was having a quiet run with its series of local rulers having consolidated the kingdom. Kanyakubja continued with its journey of Vedic learning through the breed of the Kanyakubja Brahmins, however, their agenda of propagating the Hindu scriptures had significantly diminished in the wake of the surge of Buddhism across the country at that period of time. It was during the reign of the fiery Mahapadma Nanda of the Nanda dynasty around 345 BC that Kanyakubja along with many other cities of Aryavarta was won over and annexed to the expanding Magadha kingdom. This was consolidated firmly during the Mauryan period as the entire country from the north-west to the south-east borders was won over by Chandragupta Maurya and his worthy descendants, and the concept of separate Mahajanapadas (kingdoms) of the mythological and earlier Vedic times was dissolved to give way to a unified India and provincial heads or capitals therein. The resultant wide spread of Buddhism and the Pali language and their Prakrits used extensively during the Mauryan period, forced Hinduism to take a back seat and classical Sanskrit as the language of Vedic literature to be down forced. Thus centres of Hindu scriptural and Vedic learning, like Kanyakubja, Takshashila and Girivraja were affected by the upsurge of Buddhism and later Jainism. Even as Buddhism surged, in Kanyakubja the Brahmins continued patronising Vedic and scriptural learning in Sanskrit and following the staunch Brahminical Hindu traditions, albeit in a very contained and captive manner. The Kanyakubja Brahmins continued to be the mainstay of the learning and tradition being upheld, but they turned their faces away from the political, social and religious change that was sweeping across the country over these centuries. In the whole scheme of things, Kanyakubja gradually fell into a shadow area but continued its low-profile existence. India was again unified and saw resurgent glorious times under the Gupta Empire (240 AD to 550 AD) and the rise of Brahminical Hinduism was observed during this time. This period is also known as the age of Classical Sanskrit literature. As we have read from the accounts of the Chinese travellers, notably Fa Hien in the Mauryan period and Hiuen Tsang in the post-Gupta era, along with Taxila, Nalanda and Kanyakubja, other towns such as Mathura, Sarnath, Ujjain, Vidisha and Sravasti were developing as fantastic centres of learning and architecture. Mathura and Kanyakubja were key towns for the Madhyadesh region. Under the Gupta kings, these cities rose to the pinnacle of glory as centres of administration, culture, diverse religions, architecture and celebration of the Classical Sanskrit knowledge. This golden age of the Classical Sanskrit renaissance produced famous litterateurs like Kalidasa, Bharavi, Sriharsha and Magha who wrote the five ‘Mahakavyas’. Scholars and writers like Banabhatta, Bhartrihari and Vatsyayana also composed their famous works Kadambari, the three Shatakas and the Kama Sutra respectively during this time. Further, the Hindu Puranas are stated to be composed and refined during this age. However, in the post-Gupta era (570 AD – 650 AD), Mathura gave way to Kanyakubja, as the latter became important for political reasons and rose to become the capital of King Harsha’s undivided Indian empire. However, before Harsha ascended the throne at Kanyakubja, the kingdom was being ruled over by the Varman kings of the Maukhari dynasty who were in constant battle with the Palas of Gauda (Bengal) and the Rashtrakutas of the Deccan, to keep their suzerainty over Kanyakubja. Kanyakubja enjoyed its most glorious time during the reign of King Harsha from 606 to 647 AD, and was the capital of his empire which ranged from the North-west frontiers to the outer borders of Gauda (Bengal) in the east. Much about Harsha’s reign and life is told in the Harshacharita composed by his court poet Banabhatta. It is the first historical biography written in Sanskrit language. In the Harshacharita, Banabhatta gives an ornate account of life in Harsha’s kingdom, his capital Kanyakubja and the adjoining empire. Kanyakubja is portrayed in the most glorified manner as an imperial city un-paralleled in its time and flaunting a deeply rich cultural exchange of literature, religious discourses and practices, surge of Vedic and Sanskrit language and composition of great poetic works. The city is also described to be an important centre of trade and commerce and a destination for many travellers not only from the nearby locations, but also from foreign countries. The accounts of the famous Chinese pilgrim, Hieuen Tsang, (a.k.a Xuanzang) form an important and precious source of information of Harsha’s empire and Kanyakubja as his capital city in those times. Hieuen Tsang, being a highly acclaimed Buddhist monk, spent fourteen years in India, travelling to all the sacred places connected with Buddha’s life, of which he spent seven years in Kanyakubja, under King Harsha’s patronage and hospitality. His accounts acquaint us with the political, religious, economic and social conditions of Kanyakubja in those days. According to Hieuen Tsang, at the time of his visit, he found Nalanda to be on the decline and Kanyakubja and Prayag (modern day Allahabad) to be the emerging and vibrant cities. It was exactly in these two places that King Harsha had conducted his two major Religious Assemblies (in 643 AD) during the period of Hieuen Tsang’s stay in his kingdom. Hieuen Tsang, in his accounts, writes in great detail about the unmatched brilliance and opulence of Kanyakubja and the benevolence and magnanimity of King Harsha as its ruler, and refers to him by the name ‘King Shiladitya’ throughout his writings. King Harsha organised a grand religious conference in his capital city of Kanyakubja, on the western banks of the Ganges. The purpose of the assembly was to highlight the teachings of Buddha. This grand function was attended by twenty tributary kings, including the kings of Kamarupa (modern-day Assam) Bhaskara Varman from the extreme east, and the King of Vallabhi (modern day Vallabhipur – near Bhavnagar, Gujarat) Dhruvasena from the extreme west. Three thousand Mahayana and Hinayana Buddhists, three thousand Brahmins and Jains, and one thousand Buddhist scholars from the University of Nalanda attended this assembly, which continued for long 23 days. Harsha himself proposed the name of Hieuen Tsang to preside over the assembly. The subject of discussion in the assembly related to Mahayana Buddhism. The Pratiharas were staunch Hindu kings and with the decline of Buddhism in the heartland of India after King Harsha’s demise, Brahminical Hinduism took centre stage as the predominant religious faith both for the state and its subjects. Kanyakubja and its clan of the Kanyakubja Brahmins therefore continued to enjoy their status of prominence and importance during the next four centuries under the Pratihara and Bhoja kings. Kannauj was already well established as the capital of North India from the time of Harsha and with Magadh, Pataliputra, Mathura and other cities fading in their prominence, Kannauj continued to be regarded as the heart of Aryavarta and the jewel in the crown most sought after by the kings at war. All of them sought to keep Kannauj under their clamp, as the city strongly signified power and control over Aryavarta. The chequered history of war-torn Kannauj during these periods and tales of the battles and coups forged by the Pratihara, Rashtrakuta and Pala kings over a hundred years is, on one hand fascinating yet on the other, dark and of betrayals and bloodshed. It was also during this turbulent period that Kannauj once again rose to a commendable height of glory under the Pratihara King, Mihir Bhoja in 836 AD. Though not immediately comparable to the Kannauj under Harsha, Mihir Bhoja ensured that he rebuilt the city’s war affected zones and added further magnificence. Learning and culture surged in Kannauj and once again the traditions of Brahmanical Hinduism were glorified under the Kanyakubja Brahmins, who now had acquired the cult tag of ‘Kannaujia Brahmin’, one that was set to stay for many more centuries to come. Mihir Bhoja’s kingdom ranged from the Sutlej River in the North-west to the foothills of Himalayas in the North and from Bengal in the East to Gujarat in the West, while the Narmada River made up for the border in the South. Kannauj was the illustrious capital of his expansive empire and a very prosperous one at that, as we read from the works of Sulaiman, the Arab traveller who visited India during this time. Mihir Bhoja also successfully repulsed several Arab invasions on the North-west borders of his kingdom (present day Sindh in Pakistan) and ensured that he united Aryavarta under Kannuj once again, till 885 AD. Thus in the fight for the control of Aryavarta and pursuit of keeping suzerainty over Kannauj as the capital of Aryavarta, the Pratiharas had overall emerged victorious against their rivals the Rashtrakutas and the Palas. However, constant wars and break down of kingdoms over this period actually worked against the interests of Aryavarta, for after Mihir Bhoja there was no king who could unite Aryavarta again and build a formidable force. After conquering Mathura and Mahaban in 1018, Mahmud turned his attention to Kannauj, as he intruded further down the plains. The ruling Pratihara king of Kannauj at that time was Rajyapala who was terrified at the prospect of facing Mahmud’s army with the almost certainty of defeat and bloodshed in the capital. Faced with the daunting task of fighting Mahmud’s army, Rajyapala chose not to engage in battle with the Sultan and Kannauj was surrendered without a fight. This however did not stop the greedy Sultan from ransacking the city and he proceeded to destroy many important Hindu temples and Buddhist stupas in Kannauj. The holy shrines were desecrated and the temple wealth was looted indiscriminately. As the pillage and plundering in Kannauj went on at the hands of Mahmud’s army, among the subjects the worst fate probably befell the Kanyakubja (Kannaujia) Brahmins. On the pretext of jihad, the invaders fanatically crushed the Hindu centres of worship and learning, burning Vedic and Sanskrit texts and scriptures wherever they could find them. They were aware that the Brahmins were the keepers of the religious culture and traditions as well as the temple wealth, and hence the wrath fell on them. The Brahmin houses were invaded, destroyed and looted and the priests and scholars were mercilessly tortured, their books and belongings being burnt in front of their eyes. The king had already surrendered and remained a mute spectator as the once glorious city of Kannauj was brought to its knees and its wealth forcibly taken away. The inscription plates further state that Govindachandra was a devout Shaivite and held the Brahmins in his kingdom in very high esteem. Thus his patronage of the Kanyakubja Brahmins was expansive and large-hearted. It is therefore evident that the Kanyakubja Brahmins once again had days of glory and importance under Govindachandra and the Gahadavala dynasty. Govindachandra’s reign was also marked by the rise of literary efforts in Sanskrit, by the Brahmins in his court. His minister for law-and-war, Lakshmidhara and another Brahmin minister Raghunandana are credited for authoring the very famous Sanskrit work “Kalpadruma”, a collection of works on law and societal procedures. Govindachandra ruled for forty years and re-established the glory and magnificence of Kannauj as the capital of the empire, and was succeeded by his son Vijayachandra in 1154. Vijayachandra too like his father stood like a bulwark against the Muslim invaders but did not have much success with his neighbour kings, for when his reign ended in 1170 AD, the Kannauj Empire only extended across the region of modern-day Uttar Pradesh and Bihar. Kannauj was swept away and eventually destroyed during the Muslim conquest of Hindustan by the repeated invasions of Sultan Sihabuddin Muhammad Ghori and his Turkic generals. Muhammad Ghori returned in 1194 and with the aid of his slave-general Qutubuddin Aibak, marched towards Kannauj with a very large army. King Jayachandra met Ghori on the plains of Chandwar (a place between Kannauj and Etawah) where a pitched battle took place. The tidings of the battle were gradually favouring Jayachandra’s army when a freak arrow hit Jayachandra in the eye and pierced his skull, killing him instantly. Seeing their leader dead, the Hindu army scattered directionless and within no time the battle was won by Muhammad Ghori. Ghori plundered and pillaged Kannauj, killing the Hindu populace and breaking the gorgeous temples and shrines while enslaving the people, before retreating with immense war-spoils. After Ghori’s exit, Qutubuddin Aibak continued to consolidate the conquered cities by vanquishing the remnants of the Hindu armies in those places. The Rajput resistance however continued in sporadic efforts in different areas in an attempt to throw off the Turkic yoke. In Kannauj, especially, Jayachandra’s nineteen year old son, Harishchandra, succeeded in pushing back Aibak’s armies and liberated Kannauj once again in 1197 AD, a respite which was destined to be only too short-lived. Post the assassination of Sihabuddin Ghori at Dhamiak near the banks of the Jhelum River in 1206 and the death of Qutubuddin Aibak in 1210, the entire expanse of North India was in political chaos and rebellion. Though Iltutmish, the son-in-law of Qutubuddin Aibak ascended the throne of Delhi and proclaimed himself the next ruler of Hindustan, it took a lot of effort on his part to squash the rebellions and impose his suzerainty over the kingdoms of Hindustan. Iltutmish’s son, Nasir-ud-din Mahmud, a ferocious warrior in his own right, waged a terrible battle against Kannauj, Benaras and Rohilkhand. The battle of Kannauj saw the complete end of the Gahadavala dynasty with the ruling King Harishchandra and his son being driven out of the city, and the establishment of Nasir-ud-din’s Turkic generals as administrators of Kannauj. In the pillage, plunder and massacre that ensued in the days of the war, Kannauj was completely destroyed and razed to the ground. The Hindu populace scattered to neighbouring areas and a mass exodus of the Kanyakubja Brahmins were seen in the aftermath of the battle. As Nasir-ud-din and his troop of Turkic generals decimated the city and its remaining people, Kannauj with its heritage and soul of Hindu imperialist tradition, culture and learning was lost forever. Kannauj thereafter was governed under Nasir-ud-din Mahmud who was appointed as the Governor of Awadh region. 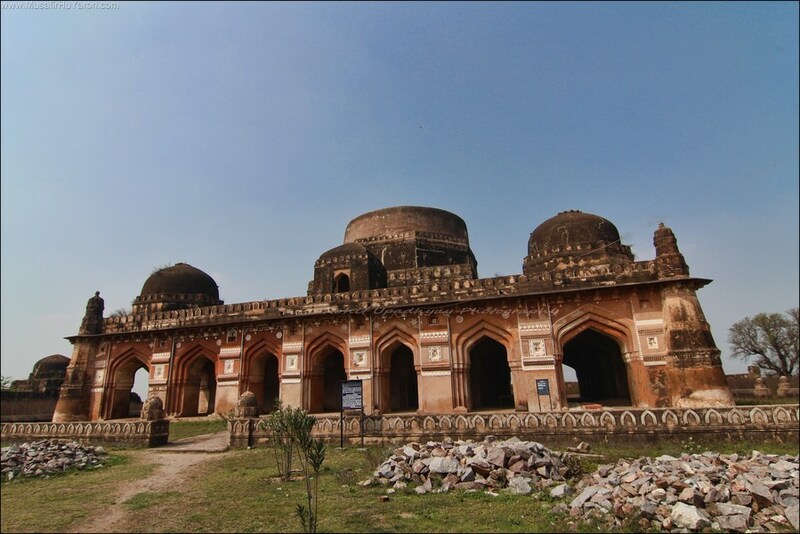 The stronghold yoke of the Turkish generals and administrators of the Delhi Sultanate gradually robbed Kannauj of the remnants of its glorious imperial and cultural past. The magnificent city which over the centuries had held pre-eminence in North India and regarded as the seat for many a proud dynasty, ceased to exist as an independent state and slowly sank into insignificance. 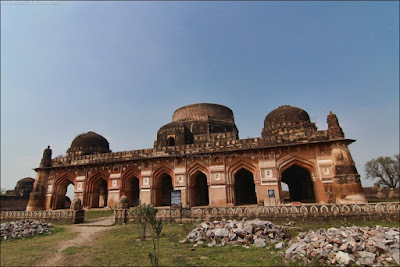 Under the rule of the various Sultans of the Delhi Sultanate and then the Mughals, Kannauj never rose to any significance and remained just another small town, and with the prolonged influence of its rulers, the character of the city underwent a sea-change. Perhaps the only notable mention of the place would be that of Emperor Akbar, who once passing through the place found the soil and environment of Kannauj to be conducive for growing plants which were used to make fragrances (referred to as Itr). He ordered for the fragrant plants to be imported from Persia and had them planted in great numbers in the region of Kannauj. Since then till this date, the ‘Itr’ of Kannauj is considered heavenly and the best in India. Some even call Kannauj as the ‘fragrance capital’ of the country. In modern times, the city of Kannauj is the administrative headquarters for the district by the same name in Uttar Pradesh, but it stands proud as one of the very few cities in our country to boast of its antiquity and rich heritage. Photo: Partially restored fort in Kannauj, originally built by King Jayachandra. For readers interested in the detailed history of Kanyakubja, I would request you to read my 6-part Blog-Series titled "The Kanyakubja Chronicles" on this Blog. Please use the Archives menu on the right hand side to locate the Kanyakubja Chronicles Series. I am participating in the #BlogchatterA2Z challenge and today’s letter is ‘K’. Kanyakubja and Kanauj, both are the well known place in our history book. But, after reading your post, I felt that, we read very less about those place. So many history was hidden under this two names. Great to know such story about those places. Thank you Sayanti for reading and commenting on my post! Glad that you liked reading about Kanyakubja. I have always been fascinated by the history of the place. You are right, what we read in our history books are far less compared to what actually is researched, and we do not often get to know about the lesser known places. Thanks Sneha for reading and commenting! I am happy that my post could get you some new information on our history and heritage. This is such a detailed narrative!!! My god I am so impressed by the efforts you have put in here. Commendable. I don't think i knew so much of history before. Thank you Meena for reading my post and for your appreciative comments. Excellently researched post Sayan. You take a lot of trouble to find out the exact recorded history of the places you write about and that is really commendable. Thank you Jai, I am glad that you liked my post and the story of Kanyakubja. History is my passion and I have a soft corner for kanyakubja for a very personal reason, so I had put in some extra effort for this post.